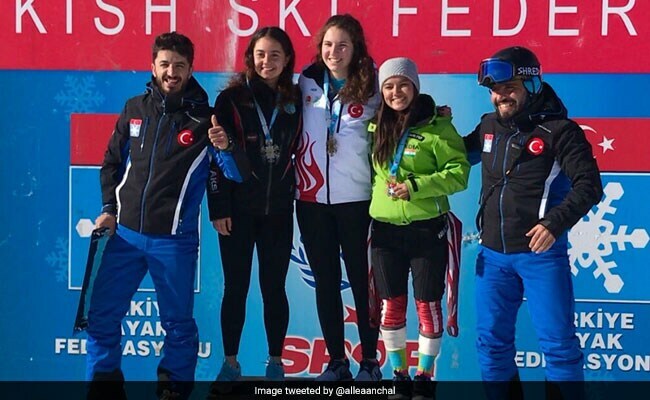 The 21-year-old clinched bronze in the coveted Alpine Ejder 3200 Cup organised by the Federation Internationale de Ski (FIS) - skiing's international governing body - at the Palandoken Ski Centre in Erzurum in Turkey. Aanchal Thakur's feat is being deemed extraordinary for the sports culture in the country. 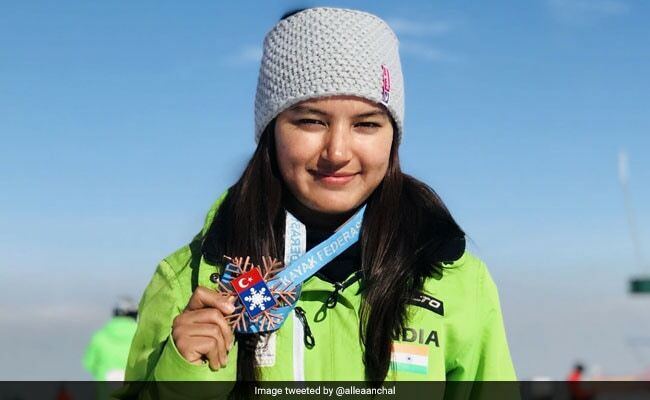 New Delhi: Prime Minister Narendra Modi today complimented Aanchal Thakur on winning the first-ever medal for India in a skiing competition, and said the entire country was ecstatic on her "historic accomplishment". Aanchal Thakur while being awarded her first international medal. "Well done @alleaanchal for winning an international medal in skiing! The entire nation is ecstatic on your historic accomplishment at the FIS International Skiing Competition in Turkey. Wishing you the very best for your future endeavours," Prime Minister Modi tweeted. Well done @alleaanchal for winning an international medal in skiing! The entire nation is ecstatic on your historic accomplishment at the FIS International Skiing Competition in Turkey. Wishing you the very best for your future endeavours.